Devices which could be used to rehabilitate the arms and hands of people who have experienced a stroke have been developed by researchers at the University of Southampton. In a paper to be presented this week (6 April) at the Institution of Engineering and Technology (IET) Assisted Living Conference, Dr Geoff Merrett, a lecturer in electronic systems and devices, will describe the design and evaluation of three technologies which could help people who are affected by stroke to regain movement in their hand and arm. Dr Merrett worked with Dr Sara Demain, a lecturer in physiotherapy and Dr Cheryl Metcalf, a researcher in biomechanics, to develop three ‘tactile’ devices which generate a realistic ‘sense of touch’ and sensation - mimicking those involved in everyday activities. Three tactile devices were developed and tested on patients who had had a stroke and on healthy participants. 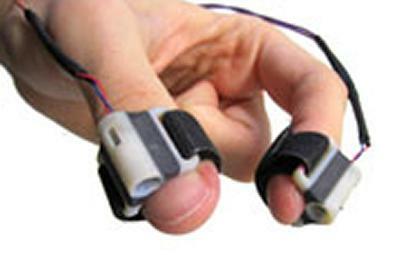 The devices were: a ‘vibration’ tactile device, which users felt provided a good indication of touch but did not really feel as if they were holding anything; a ‘motor-driven squeezer’ device, which users said felt like they were holding something, a bit like catching a ball; and a ‘shape memory alloy’ device which has thermal properties and creates a sensation like picking up a cup of tea. The academics’ paper: Design and Qualitative Evaluation of Tactile Devices for Stroke Rehabilitation will be presented at the Institution of Engineering and Technology (IET) Assisted Living Conference. A copy of the paper can be accessed at: http://eprints.ecs.soton.ac.uk/.